Hayden Williams bashes Left’s REAL intolerance! « The Left says according to science Toxic Masculinity is real… REALLY? 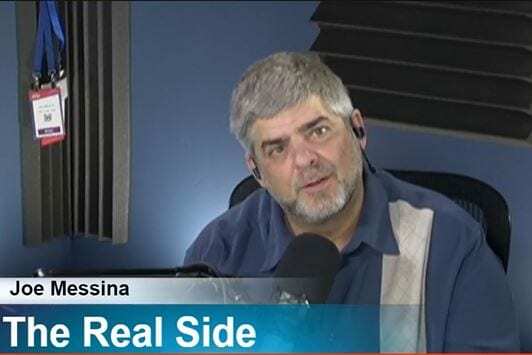 Find out more about the craziness and just plain weird things going in the world today with Joe Messina, from students being assaulted on college campuses JUST for being conservative, to Trump’s “hush money”, to wondering where we’re getting all these employees to fill jobs in this economy that is ON FIRE. President Trump made a big impression at CPAC when he welcomed Hayden Williams, a student assaulted for recruiting for a conservative group, on the stage to show his support for Hayden and the thousands of young conservatives across the county afraid of being attacked for being vocal with their beliefs. Now a federal judge is tossing out Stormy Daniels lawsuit against President Trump for “hush money” that was paid for an alleged affair since Trump and his former lawyer agreed to not penalize the “adult actress” for violating the agreement. Another name back in the news, Chelsea Manning, the traitor and “Trans Activist” is now facing contempt hearing for refusing to testify before a grand jury…despite getting immunity. Think of how many people were hurt, or even killed because of the information he gave up. Wonder if the journalists will be able to spin this and give Obama credit, AP reports that that job market over the last year has been so hot that analysts wonder where all the employees are coming from (probably the southern border).